Scaredy never sleeps — sleep might mean bad dreams about dragons, ghosts, vampire bats and polka-dot monsters. Our wide-eyed hero has a plan: stay awake all night, every night. Between counting stars, playing cymbals and making scrapbooks, he does a good job of avoiding dreamland. 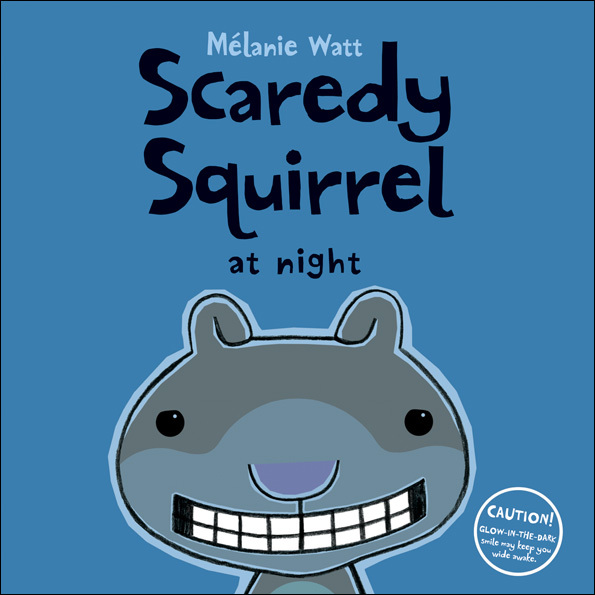 Scaredy Squirrel at Night tackles a fear everyone — and especially the young — can relate to. It's a bedtime story to make light of kids' fear of the dark and a fable for our sleep-deprived society. I LOVE Scaredy Squirrel. It's creative. It's cute. It's funny. 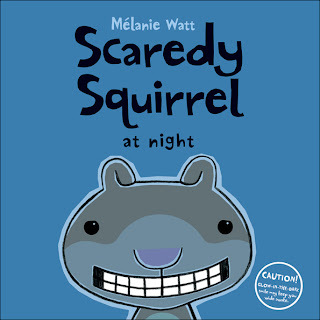 The best thing-there are many other Scaredy Squirrel books. My son was confused about why Scaredy Squirrel was scared of fairies. And maybe unicorns too. And there is a part about horoscopes that kids may not get or you'll have to explain it to them...(shouldn't be too difficult?) But seriously, it's fun to read. You can get the 1st one if the series here on amazon. Well does he have ALL of them? Cute. Ask him what his favorite book is and let us know! He has great taste in book if he likes Scaredy Squirrel!